The Club 12 like all the boats in the Highlander Boats Range is built in low maintenance glass fibre using only best quality materials. The boat has developed to give a good seating position and uncluttered layout with an effective non-slip floor. 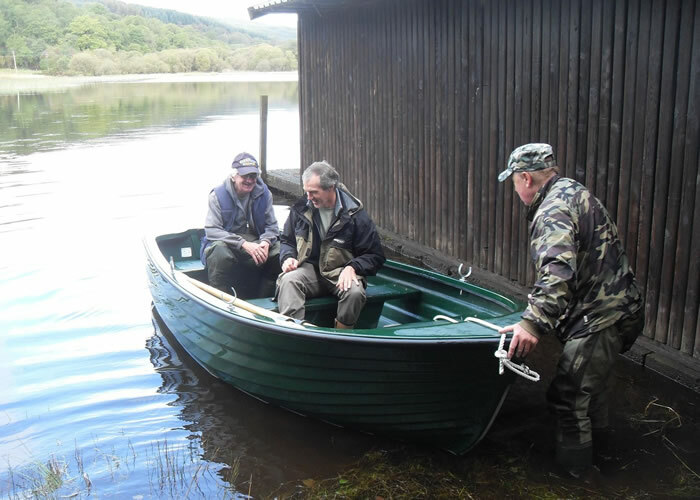 It is ideally suited to sea lochs, rivers, reservoirs and lakes. The boat is recognised as an excellent fishing boat for inland waters particularly for fly fishing where the combination of great hull shape water ballast tank and good-seating positions makes them a leader in the field. 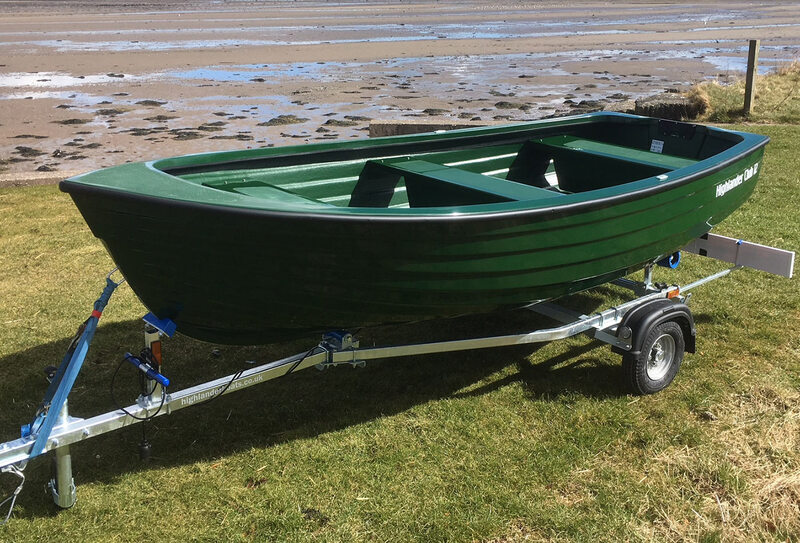 The boat is easily rowed or can be powered by small petrol or electric outboards and will withstand the rigors of the hire trade or be as happy on a private water. When required it is possible to flood the under floor compartment to provide additional ballast which improves the drifting qualities for fishing and the general stability of the boat. 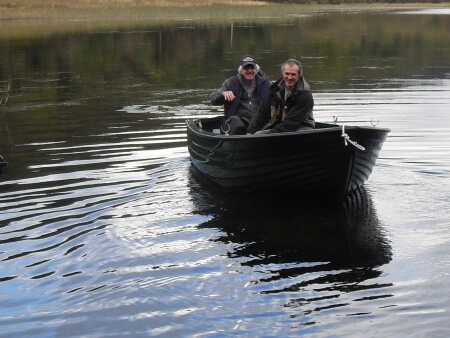 The Club 12 is an ideal boat for angling, fly fishing, pottering around the river, harbour or for hiring out to the general public. Our mouldings are produced by hand using quality materials and we take pride in the quality of workmanship that goes into building a Highlander Boat. 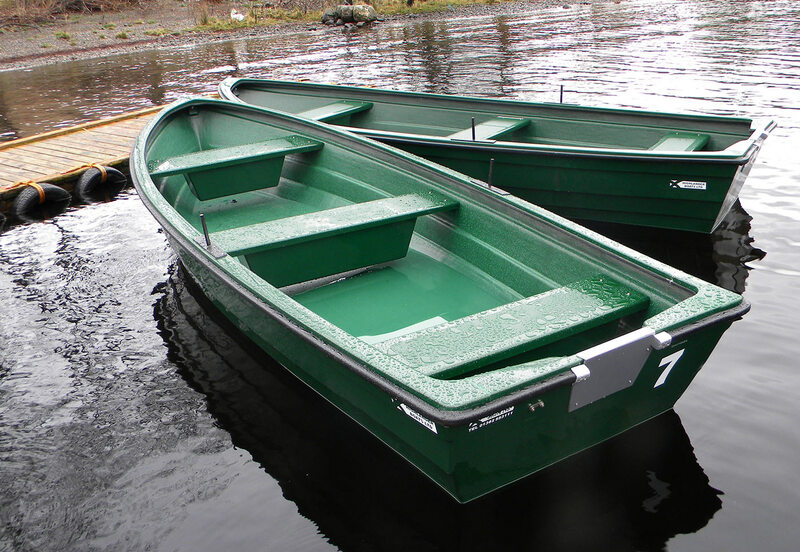 The boat can be powered by a petrol or an electric engine a Tohatsu 3.5HP is a popular choice. When teamed up with an Indispension or Extreme Trailer this package tows behind a normal sized car and is very easy to launch and recover. 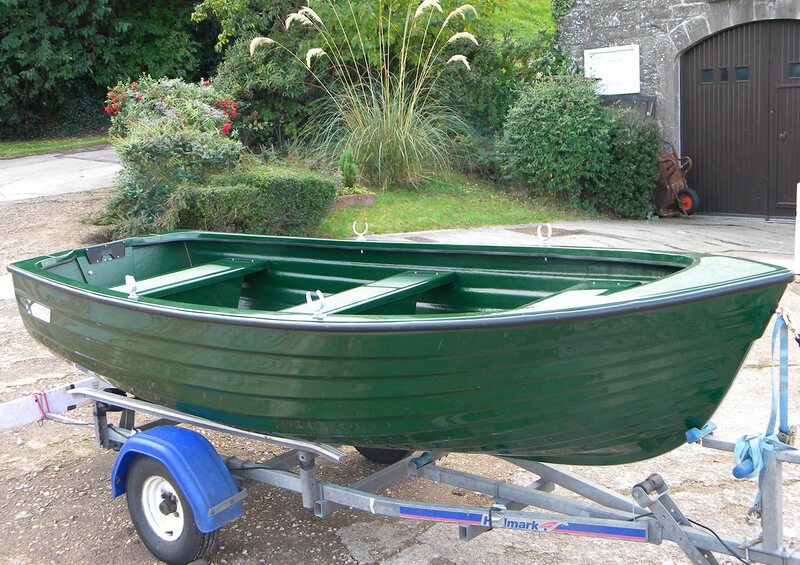 We can deliver boats Mainland UK eg Scotland, England and Wales. 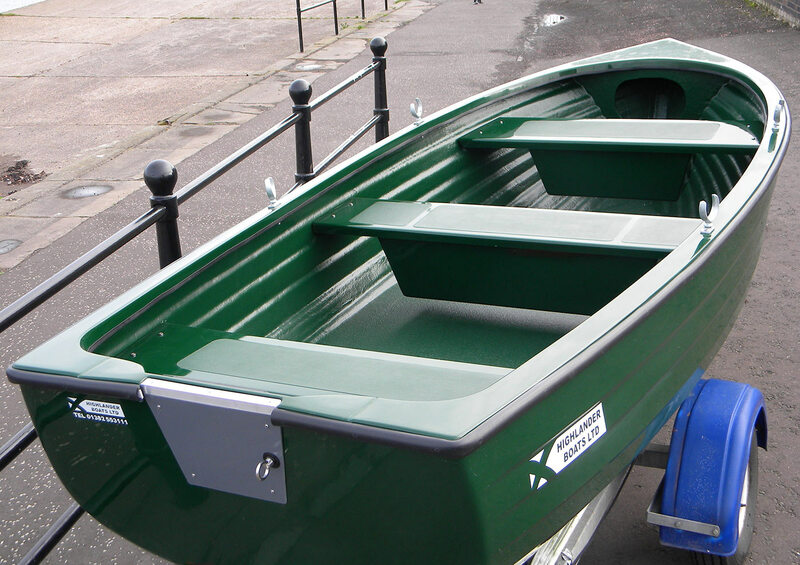 This boat can be purchased on its own or packaged with engine, trailer or engine and trailer. 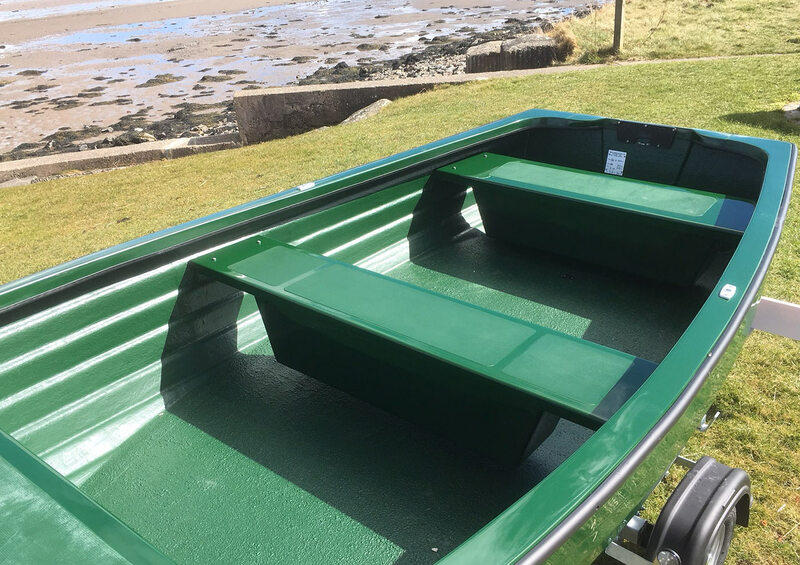 We offer a three year hull warranty on our boats, this is unusual on small boats and reflects the confidence we have in our products, the usual exceptions apply.